Since the photo of his beautiful face, with a pacifier dangling from his mouth and his intent gaze, appeared in worldwide media, little David Paloni has become the star of the 2015 Synod of bishops. Jokingly called the “youngest synod father in history,” the four-month-old is the youngest of the 12 children of Massimo and Patrizia Paloni. 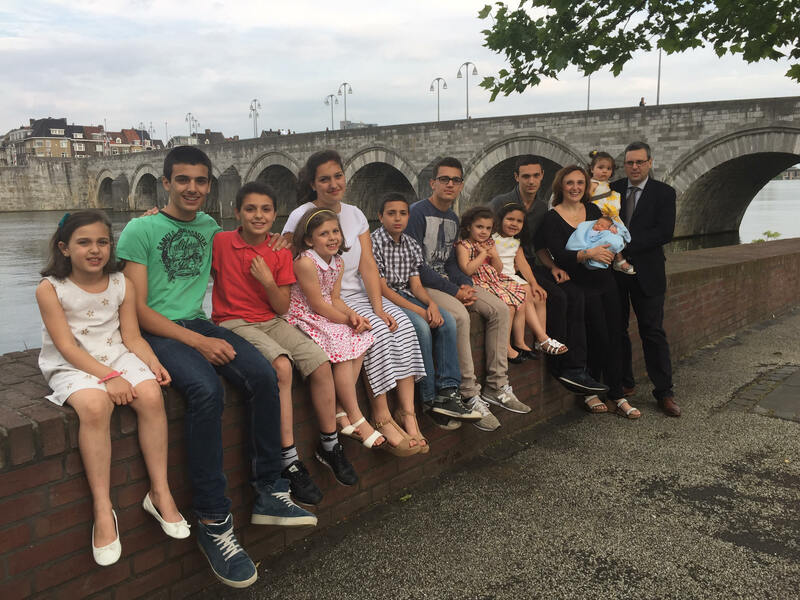 Much has been written about them during this first week of sessions: their 12 children (six boys and six girls: “David evened the score”), their departure for Holland 11 years ago, and their experience as a missionary family of the Neo-Catechumenal Way at Maastricht. However, it is only by meeting in person these two young parents of Rome – he is 45 and she is 41 – that one really understands what a person who has savoured the love of God in his/her life can reveal. It is visible in their serene way of speaking and relating to others. In Patrizia’s calm, while managing her little one (she cradled David who was crying throughout the interview) and, from a distance, the other 11 children, who stayed in Holland. But this is demonstrated above all by the joy that lights up Massimo’s eyes when he talks about how his life and that of the whole family was filled after their decision – absurd, according to many – to leave behind a comfortable life, a job as manager, to go to a foreign country and proclaim the Gospel, even having to do cleaning to support the family. “Our mission experience is born from gratitude to the Lord for all that He has done in our life. He has helped us in difficult moments of our life and of our marriage,” he explained to ZENIT. Massimo was already used to the missionary life, having come from a family on mission – also in Holland – which left from the parish of Saint Aloysius Gonzaga, in the well-to-do neighborhood of Parioli.